I am not that much of a foodie that I would want to try every new restaurant in Luxembourg, but when a new place opens that looks quite Instagrammable, then I make sure to get there as soon as possible. 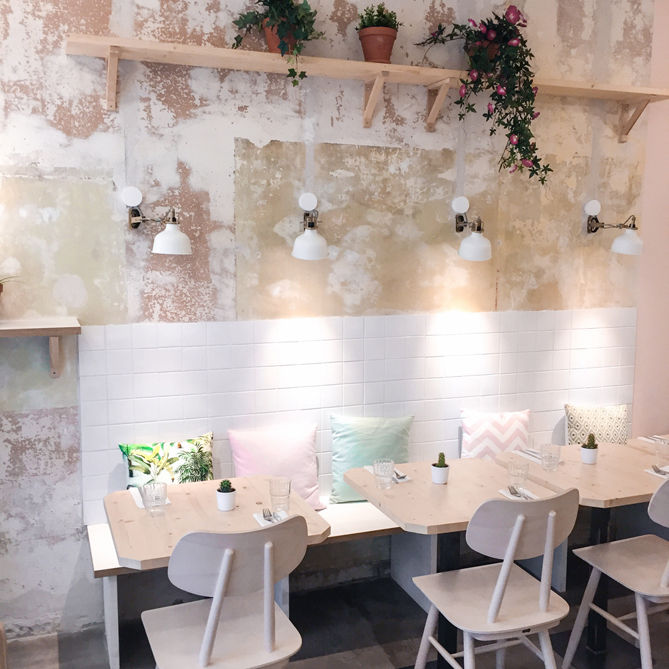 Flowers Kitchen, which can be found in the Gare area in Luxembourg city, looks like every minimalist interior lover's dream. Apart from that it offers healthy vegan dishes so it quickly turned into the new place to try. While the service was really friendly, the portions big enough to fill me up and the prices okay for Luxembourg, I wasn't too excited about the dish that I tried. That day a chickpea curry bowl was on the menu (usually there aren't more than three dishes per day). I found the sauce too liquid and missed the usual curry-creaminess. The overall taste of the dish wasn't overwhelming, but I think I will give the place a second try. Especially as the cakes, cookies and homemade ice tea looked really mouthwatering. You've probably already seen it on other blogs: The first Kenzo x H&M pieces have been revealed. I was rather disappointed to only see weird whole-body tiger prints in rather unwearable colours. The boots might trigger a hype but if the rest of the collection comes close to this I won't be spending any of my money on it. What were your feelings after seeing the pictures? From all catalogues in the world the Ikea one always gets me most excited. I've been browsing every single one since I was a little girl, always dreaming about how I would furnish my future home. This year's autumn collection comes with some quite contrasting inspirations but the most striking one has got to be the all black trend. 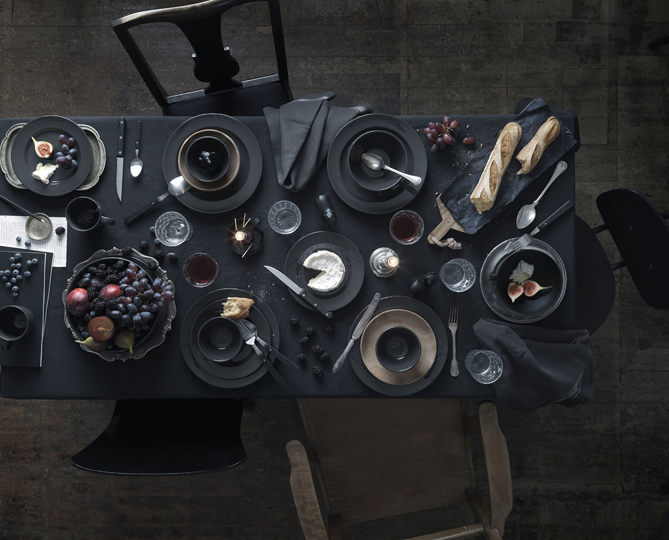 Ikea will be releasing a dark grey set of plates and accessories that will make you wanna adopt a dark chic atmosphere in your kitchen. 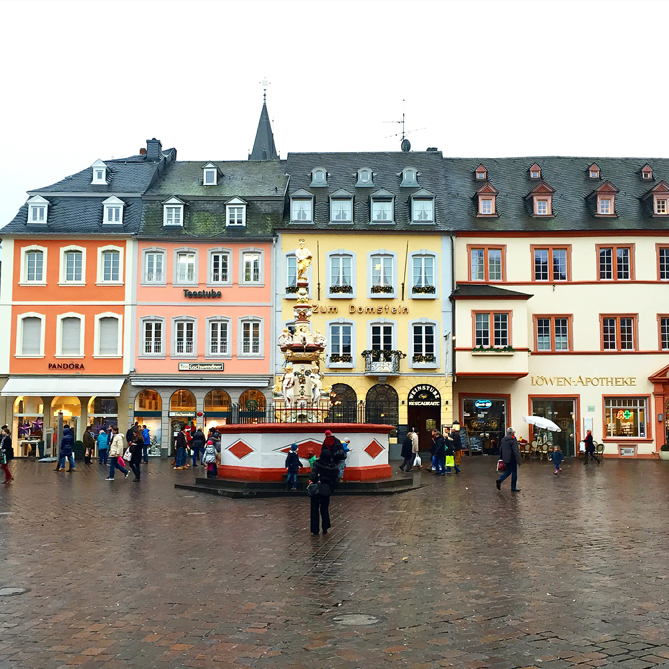 There are so many charming little cities in Europe and Trier is definitely one of them. 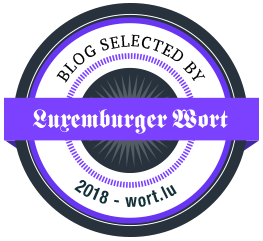 Situated super close to the Luxembourgish boarder it's every Luxembourger's favourite weekend shopping destination. I bet that most of us just go there to stock up on drug store products, haha! Anyway the marketplace is super cute thanks to the colourful storefronts. Make sure to go there during Advent to see the large Christmas tree and the street name lights. And whether you go there in summer or winter, I always recommend to have lunch or dinner at our favourite place 'Kartoffel-Restaurant-Kiste'. It's a restaurant that offers all kinds of potato dishes, from fries to casseroles, as well as other traditional German dishes. 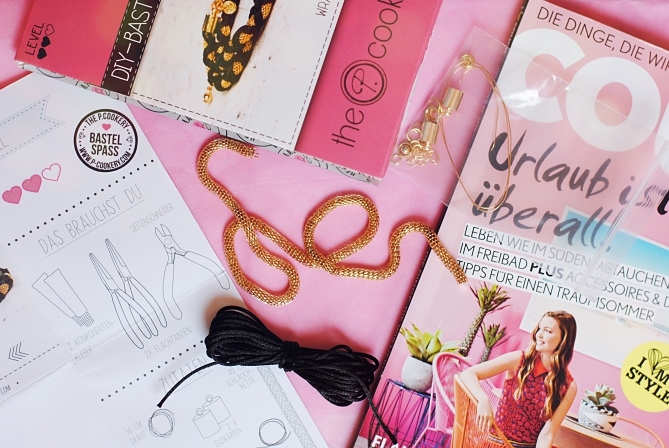 Don't forget that until tomorrow you can still win a DIY wrap around bracelet set (click here)! Unfortunately this giveaway is only open for my German readers, but a Europe-wide giveaway will be announced in tomorrow's post so stay tuned!